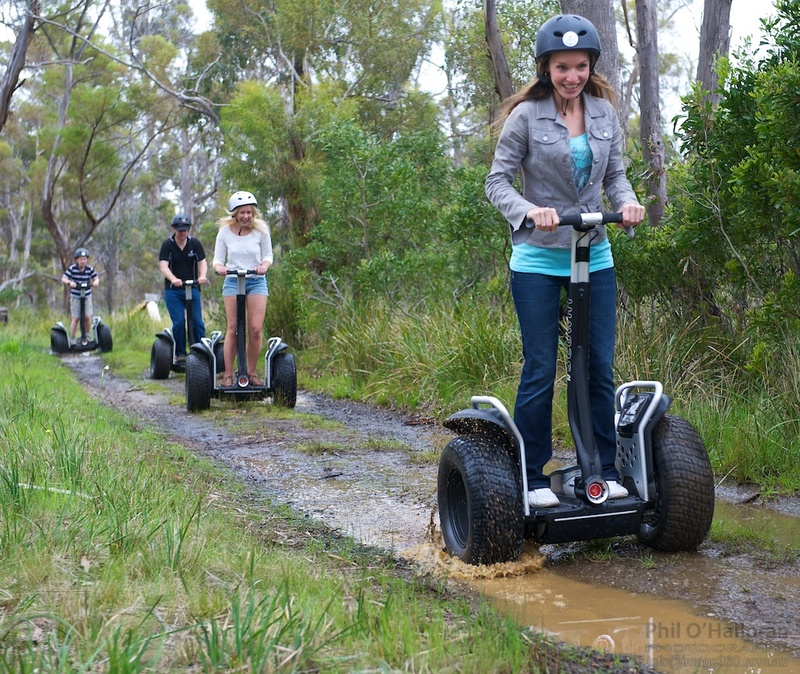 Your experienced Segway guide will have you comfortable and confident on your X2 Segway in just a few minutes. This tour combines farm tracks and lush paddocks, large grassy slopes and occasional steeper sections along with magical winding bush trails. Set on the private property of Fort Chimo, a working Angus cattle farm, this tour also offers superb views of D'Entrecasteaux Channel and Bruny Island. Minimum 4 participants, maximum 7. Minimum age for participants is 12. Minimum weight for participants is 45kg, maximum weight is 117kg. For answers to other frequently asked questions visit our FAQ page.